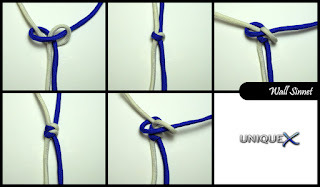 I was thinking for my first tutorials that I would show some of the knot designs that you might commonly see, I've noticed many great looking Wall Knot designs on Stormdrane's blog. 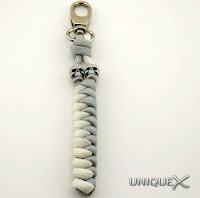 This is a great design, it's easy to tie and can be used with different strand variations. I am showing the directions for a Two Strand Wall Sinnet, but the directions are the same regardless of the amount of stands you choose to use as long as there are more than one. A Wall Knot is tied almost like a Crown Knot, but instead of going over its neighbors loop, it goes under. It sounds more complicated than it actually is, so check out the tutorial for a better visual description. Click the image to download the larger view. You will notice that once you've figured out how the first image section is tied, every additional loop is exactly the same. Following the directions of this tutorial, I tied the "Chimera Wall Sinnet". I added two plastic skulls and a small lobster clasp to finish it off. 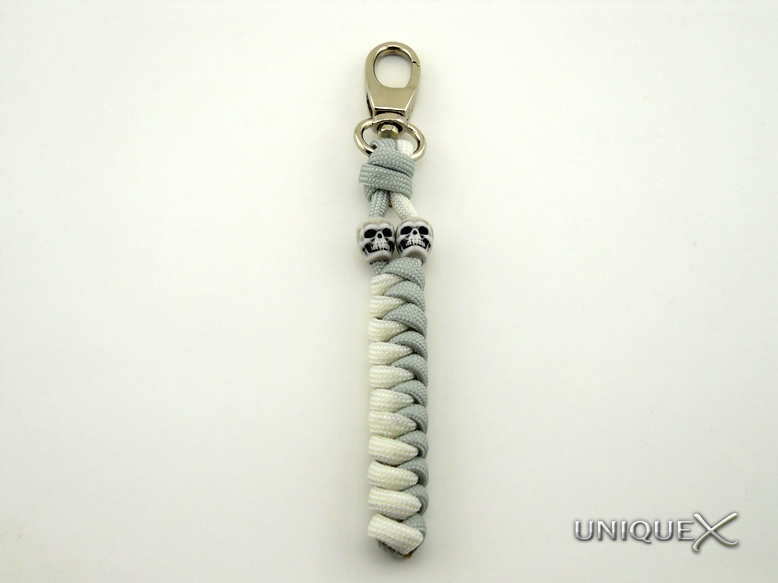 You will notice when tying this design that it looks very similar to the Chinese Snake Knot, but is easier to tie and can be tied tighter. @Anonymous: I wasn't aware that the feeds link was no longer working, thanks for letting me know. I have fixed the issue now, all you need to do is click the subscribe button located in the upper-right, then enter your email address and you will be subscribed.